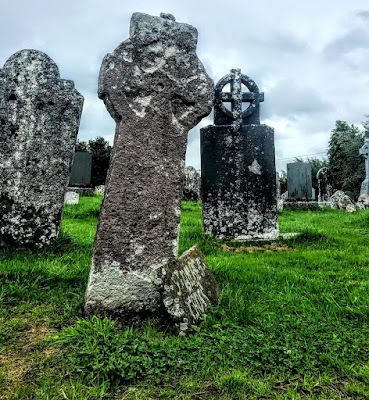 On the way from Askeaton to Dublin last week to catch a flight to Berlin, two of us made an unplanned or unscheduled diversion and ended up in the small village of Emly, 14 km west of Tipperary town, in search of the lost Cathedral of Saint Alibeus. Although Emly is a small town or village today, Emly once gave its name to a separate diocese. 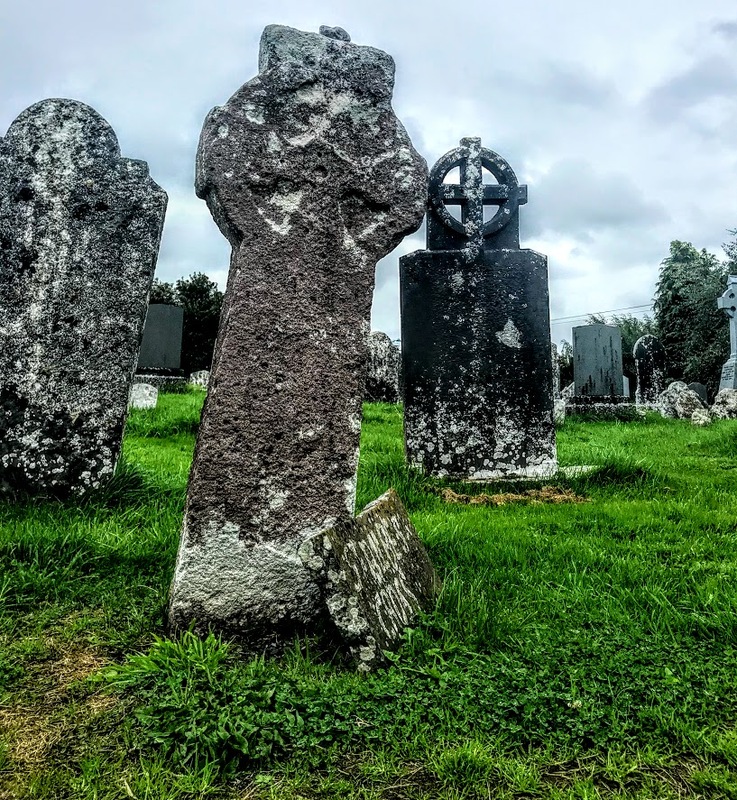 In the Roman Catholic Church, it has been subsumed into the Diocese of Cashel, while in the Church of Ireland Emly has been part of the Diocese of Limerick and Killaloe since 1976. But there is no cathedral in Emly itself, and instead I found the site of the former Church of Ireland cathedral, and an interesting Roman Catholic parish church, designed in the Gothic Revival style by Ashlin and Coleman. Local lore claims Emly was recorded by Ptolemy under the name of Imlagh as one of the three principal towns of Ireland. Saint Ailbe founded a monastery in Emly in the sixth century, although he is often claimed as the principal ‘pre-Patrician’ saint, alongside Saint Ciarán of Seir-Kieran, Saint Declan of Ardmore, Saint Abbán of Moyarney and Saint Ibar of Beggerin near Wexford. He is venerated as one of the four great patrons of Ireland, and his feast day is 12 September. However, little that can be regarded as historically factual or accurate is known about Saint Ailbe. In some Irish sources from the eighth century, he is regarded as the first bishop and later patron saint of Emly. Later Welsh sources say he baptised Saint David and some late Welsh sources give him a local Welsh genealogy, making him an Ancient Briton. 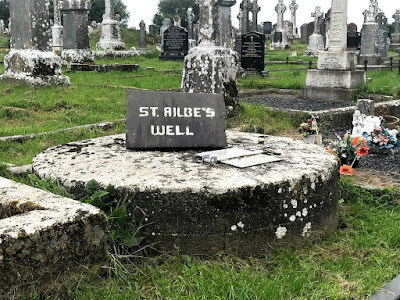 The life of Saint Ailbe is included in the Vitae Sanctorum Hiberniae, a Latin collection of the lives of mediaeval Irish saints compiled in the 14th century. 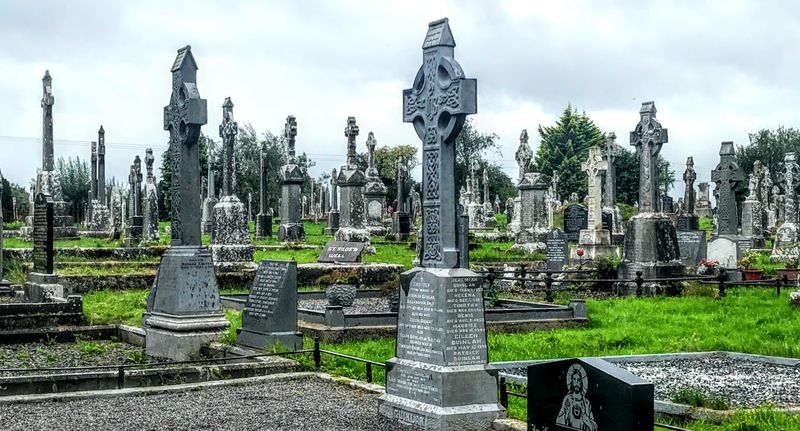 Professor Richard Sharpe of Oxford suggests the Life of Ailbe was originally composed in the eighth century to advance the claims of the Éoganacht Church of Emly and that the Law of Ailbe (784) may have been a response to the Law of Patrick and the claims of Armagh. Some accounts say Munster was entrusted to Saint Ailbe by Saint Patrick, so that he is called a ‘second Patrick and patron of Munster’ (secundus Patricius et patronus Mumenie). Many sources say he died in the year 527, and after his death, it is said, there was a succession of Abbots of Emly, some of whom were consecrated bishop. Some of those abbots or bishops also exercised secular power at Cashel as Kings of Munster, and the cathedral and round tower were burned or pillaged in successive waves of attacks between 845 and 1192. Olchobhair Mac Cionoatha, who succeeded in 847 as Bishop of Emly also became King of Munster with the support of Lorcan, son of the King of Leinster. He killed 1,200 Vikings who had plundered the monastery in 845, and another 1,700 Vikings were slain in a subsequent battle in which Olchobhair was killed. The Diocese of Emly was one of the 24 dioceses established in Ireland at the Synod of Ráth Breasail in 1118. When Moelmorda was Bishop of Emly, the abbey was plundered in 1123 and the mitre of Saint Ailbe, which had been preserved for many ages, was burnt. The Diocese of Emly survived, however, and it remained the Metropolitan See of Munster until 1152. 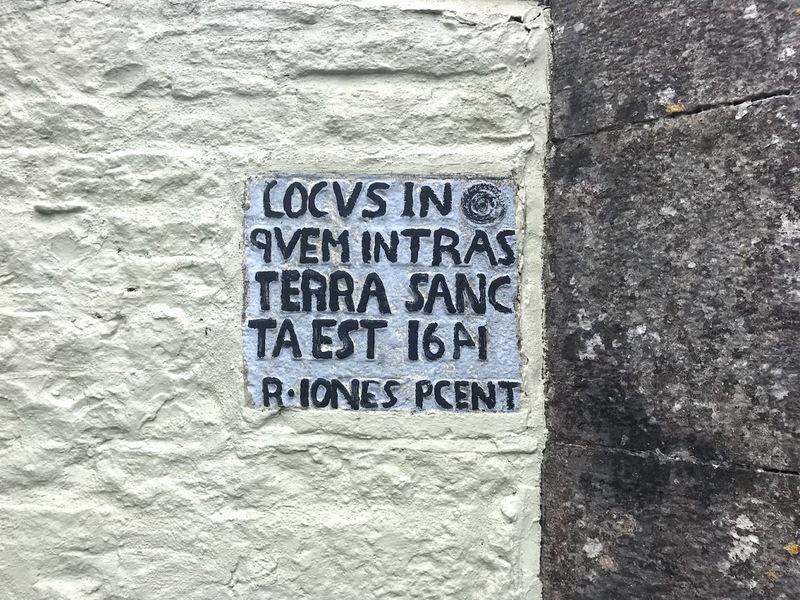 Its primacy was supplanted by Cashel in 1152, when its boundaries were formally marked out at the Synod of Kells, consisting of a small portion of present-day west Co Tipperary, east Co Limerick and south-east Co Clare. Bishop Christian, who succeeded in 1236, was a benefactor to the cathedral church. But by 1363, the cathedral was in a bad state of repair. The diocese was neglected in the 15th century, when at least three of the bishops were absentees, spending their time in England as suffragan bishops, including Robert Windell, who was an assistant bishop in the dioceses of Norwich, Worcester and Salisbury, and Robert Portland and Donatus Mac Briain, who both assisted in the Diocese of Worcester. Bishop Thomas O’Hurley (1505-1542), who swore the oath of Supremacy in 1539, erected a college of secular priests in the cathedral. Raymond de Burgh or Burke was the last Bishop of Emly (1553-1562) before it was united with Cashel. He was appointed by the Pope in 1552, and he is recognised in both the Church of Ireland Roman Catholic successions. He died in 1562, and the diocese remained vacant till 1568, when Emly was united by an act of parliament to the Archbishopric of Cashel. After the Diocese of Emly was united with Cashel, the town of Emly, once a market town, gradually declined, until it became a village. The cathedral was in ruins in 1607, and although an order was made to rebuild it in 1611, not much work had been carried out by 1615. The nave was still in ruins in 1620, further damage was caused during the rebellion of 1641, when the Precentor of Emly, Robert Jones, was robbed of his books and property and dispossessed. By 1680, the cathedral was still only partly roofed, and by 1693 it was described as being in a bad state of repair. 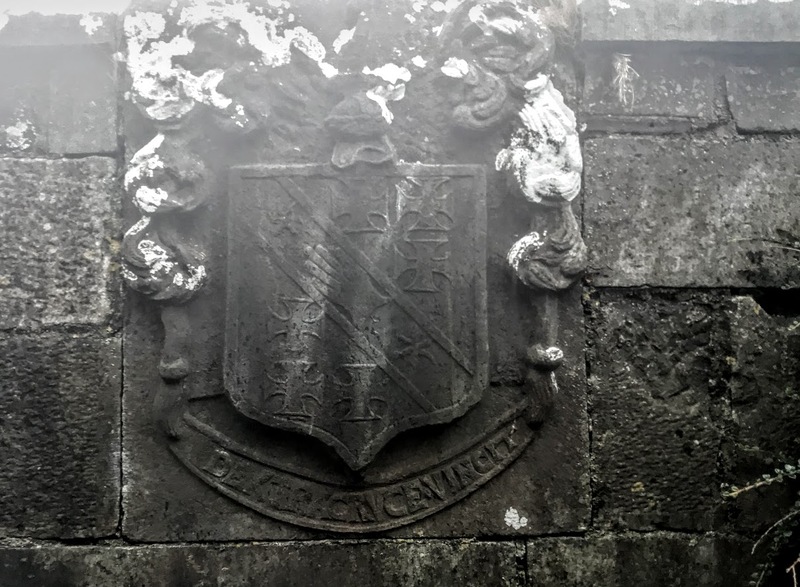 Once again, an order was made in 1715 to repair the cathedral, including the erection of a pulpit, a throne for the Archbishop of Cashel, and four stalls for the cathedral dignitaries. New windows were inserted in 1780, and a new glebe house was built close to the cathedral in 1782-1784. By then, the floors of the cathedral were well flagged on the north side, but there was an earth floor on the south side, there were no pews, and soon damp was seeping in through the ceilings and the walls and the plaster was flaking off. Sir Richard Morrison submitted estimates for repairs to the cathedral in 1790, and by 1792 it was said to be in ‘elegant order.’ But the structural repairs were only temporary, and in 1811 the decayed roof and ceiling were beyond repair. The Dean and Chapter decided to pull down the old cathedral and replace it with a new building. The old cathedral was pulled down, and services were held in the rectory while the Limerick-based architects, the brothers James Pain (1779-1877) and George Richard pain (1793-1838) rebuilt the cathedral in 1826-1827. 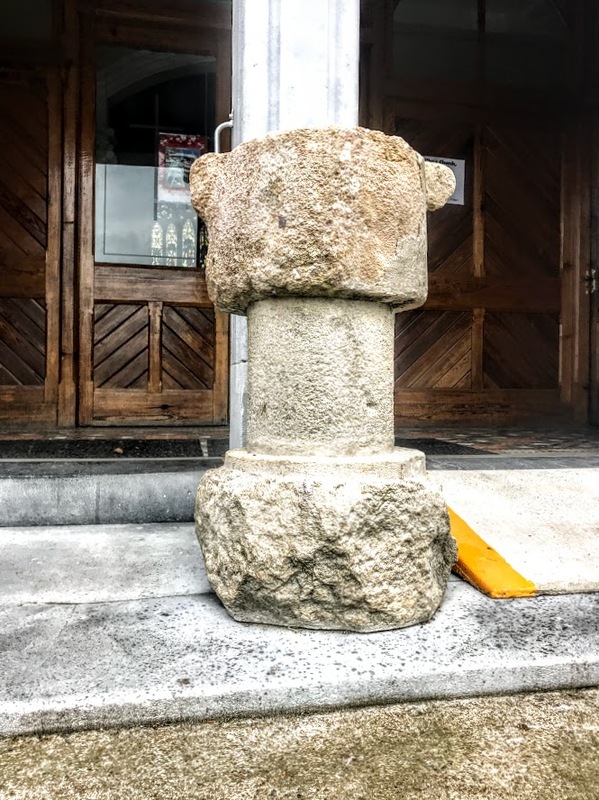 This was ‘a handsome structure of hewn stone, in the later English style, with a lofty spire’ at a cost of ‘£2,521.11.9., defrayed from a surplus of the economy fund, which had been for several years accumulating for that purpose’ (Samuel Lewis). The work on the Pain brothers’ cathedral was supervised by the Tipperary-based architect Charles Frederick Anderson (1802-1869), who also designed Saint Patrick’s College, Thurles. He later became a Roman Catholic and emigrated to the US. In the first half of the 19th century, the chapter of Emly consisted of a dean, precentor, chancellor, archdeacon, treasurer, and the four prebendaries of Dallardstown, Killenellick, Doon, and Lattin, and the diocese had 17 benefices, of which nine were unions of two or more parishes, and eight were single parishes. Under the Church Temporalities Act, Cashel and Emly was united with Waterford and Lismore in 1833. But Emly Cathedral was damaged in a storm in 1839, and although it was repaired in 1853, it was no longer functioning as a cathedral or even as a regularly used parish church. The last Dean of Emly was William Alexander (1824-1911), who was dean in 1864-1867. 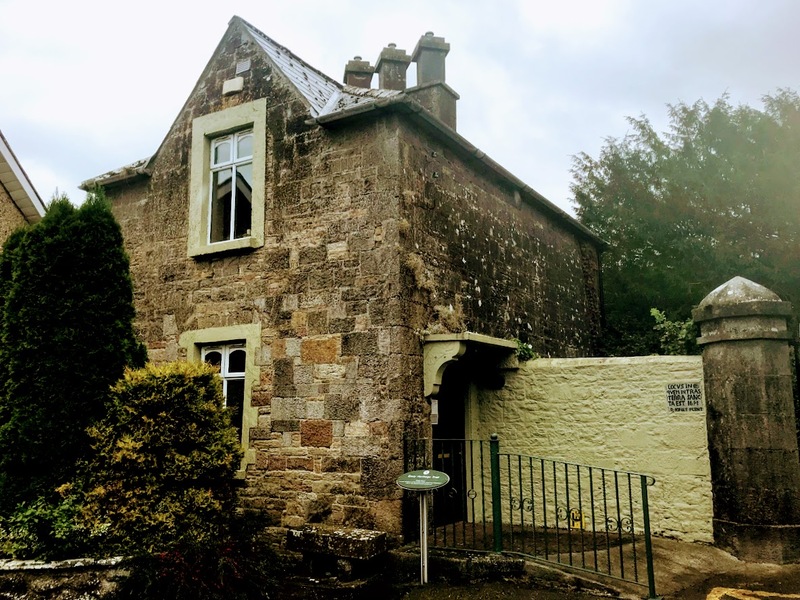 However, this was a sinecure, and he and his wife, the hymnwriter Cecil Frances Alexander (1818-1895), never lived in Emly, living instead at their rectory in Strabane. He resigned as Dean of Emly in 1867 when he became Bishop of Derry and Raphoe, and was a strong and vocal opponent in the House of Lords of the disestablishment of the Church of Ireland. Later he became Archbishop of Armagh (1896-1911). Meanwhile, no new Dean of Emly was appointed, and by 1876, the cathedral was completely disused. 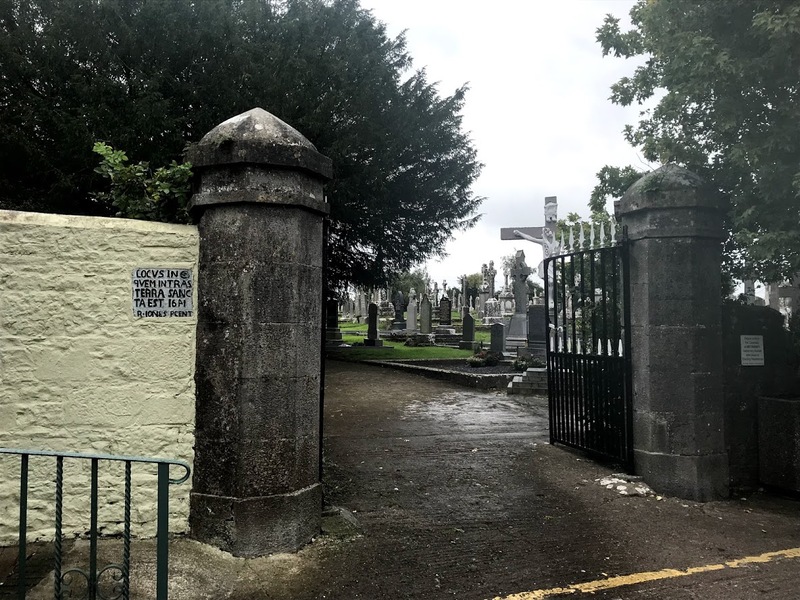 The local Roman Catholic Parish priest, Canon Maurice Power, offered to buy the empty cathedral for £2,000, but his offer was rejected by Bishop Maurice Fitzgerald Day. Instead, the cathedral was demolished in 1877, and in 1880-1883 Canon Power built a new Roman Catholic parish church, dedicated to Saint Ailbe, beside the grounds of the cathedral. With the reorganisation of dioceses in the Church of Ireland in 1976, the Diocese of Emly was transferred to the Diocese of Limerick and Killaloe. I found last week that there is very little to see of the former cathedral today. Rising ground in the old graveyard beside Canon Power’s church marks the site of the cathedral. In the churchyard is a large sandstone cross with a rough marking is known as ‘Saint Ailbe’s Cross’ and is said to mark the saint’s grave. A well, called Saint Ailbe’s Well, is completely encased by a concrete cover and a manhole, but was once the focus of a local ‘pattern’ on 12 September. Fragments of the mediaeval cathedral were brought back to Emly in 1960, including a stone tablet with the coat-of-arms of Sir Maurice Hurley, which had been erected in the cathedral in 1632 but removed in 1877, a memorial with a Latin inscription of 19 lines, and the former Baptismal font, which now stands outside the west doors of the church. 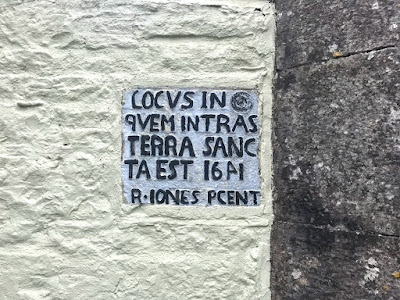 Built into the wall beside the gates into the graveyard, a stone inscribed in Latin reads: Locus in quem intras terra sancta est 1641 R Iones Pcent (‘The place you enter is holy ground 1641 R Jones Precentor’). Today’s Precentor in the joint chapter of the diocese had found evidence of one of my predecessors. This evening: Saint Ailbe’s Roman Catholic Parish Church, Emly, Co Tipperary.